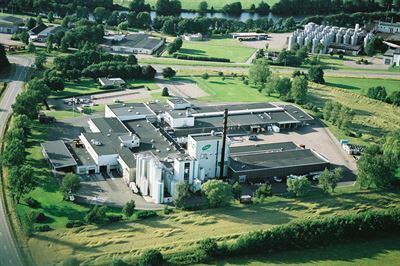 ÅF has received an order from Arla Foods to transform Falkenberg Dairy in Sweden into a new eco-friendly plant with new technology for recycling and processing of waste products. ÅF is responsible for the entire project and the order is worth SEK 63 million. “This is the largest order from Arla so far and proof of our ability to strengthen Arla’s competitiveness and create value in large complex projects,” says Robert Larsson, EVP and Head of Division Industry at ÅF. Falkenberg Dairy is Europe’s largest maker of cottage cheese and produces many varieties, including the KESO® brand. The production generates acid whey, today returned to the farmers and rinse water which goes directly to the local wastewater treatment plant. The new plant will instead collect and concentrate the acid whey, which will then be processed into whey protein, an ingredient used by food companies all over the world. This will turn a costly waste product into a valuable by-product instead. The rinse water will also be purified on site and recycled in its own production process, which also has a positive environmental effect. ÅF’s project team consists of experts from both Sweden and Denmark. The project will launch immediately, and the new plant is expected to be completed in the summer of 2019.